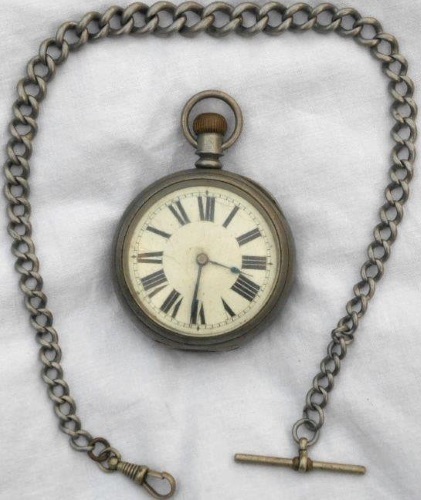 Lot 164 A Taff Vale Railway Silver Pocket Watch and chain by The American Watch Co, Waltham, Mass. Engraved in the inner cover is the name H W Bedford, 67 Regent Street, London W1. The inner case is clearly Hall marked. Full working order.